Hello again, everyone. Have you noticed a sudden chill in the air? Have you felt a foreboding presence looming in the night’s sky? These are perfectly appropriate phenomena as we move ever-closer toward Halloween night and our Caption Contest continues to unleash freakish images for your sinister delight. But maybe something spookier is about to arise; maybe we’re seeing the harbingers of the deathly Blood Moon. Fang and Bone opened for business last week. Jebradiah Drake: Link: So this new currency system you’ve set up… Mon, was it called? You believe this is a better tool of trade than traditional rupees? 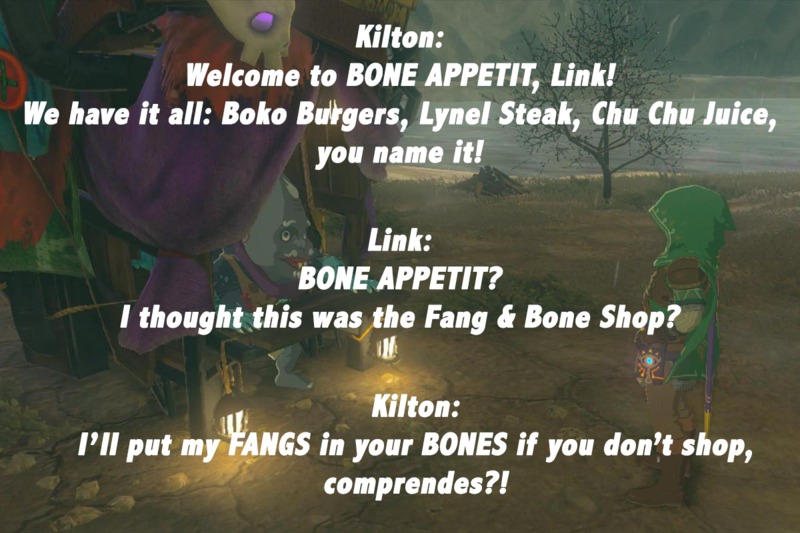 Kilton: Absolutely, the system of rupees only rewards greedy royal investors and tiny children who break other people’s pottery collections, whereas Mon is only disturbed to hard working monster hunters protecting their villages and then is spread across other members of Hyrule’s economy. Link: Sounds great! Here’s all the monster loot I’ve collected thus far, sign me up! Kilton: Well that’s fantastic, a really smart decision young man! We can put that monster loot into a Mon market mutual fund that will reinvest the the earnings into Gerudo accounts with compounding interest ANNNND IT’S GONE. 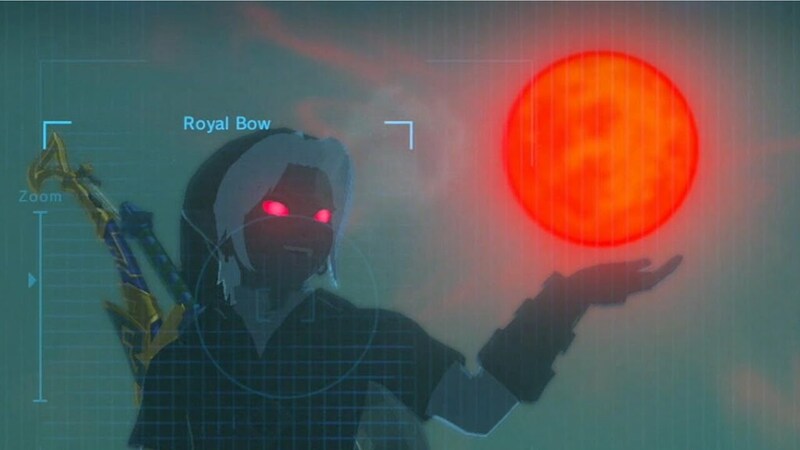 Could the Blood Moon be affecting Link’s complexion?